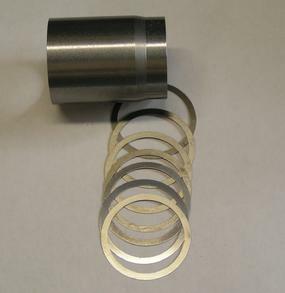 Our solid pinion spacer kits are over 3X stronger than the typical o.e.m. crush sleeves. What does all this mean? What these parts do when correctly installed is set the distance between the inner and outer pinion bearings (bearing preload). 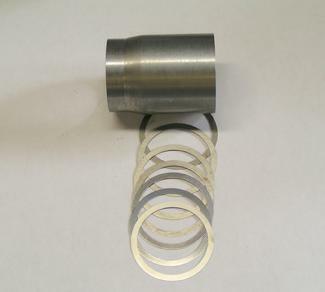 At the same time, these parts also locate the pinion gear relative to the ring gear within the casing. So, why does the crush sleeve fail? 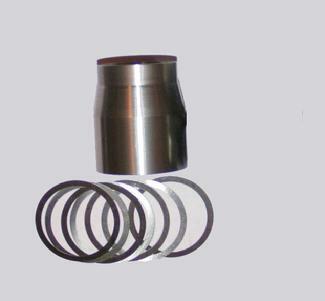 It fails because it is too weak to resist deflection when high pinion loads are applied. This is why we often hear people say, “my ring and pinion finally blew up”. The failure is not instantaneous as it would be if the gears were over-powered. The failure happens over time, due to repeated hard driving. High pinion loads deflect the pinion gear over and over until the o.e.m. crush sleeve becomes “loose” and cannot properly maintain the bearing preload. This also allows the position of the pinion gear within the casing to move causing misalignment of the ring and pinion gears. Over time, this leads to “howling” gears followed by “ground up” gear teeth and eventually destroys the gears. 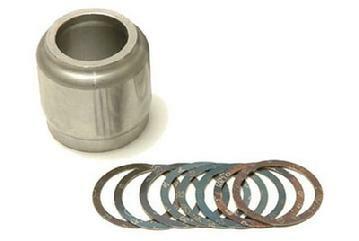 Protect your ring and pinion with one of our high strength steel solid pinion spacer kits. All kits come with instructions and shim sets. 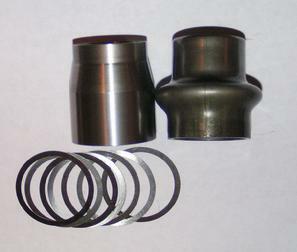 Solid spacer shown on left, crush sleeve on right.